Kalikapurane Murtivinirdesah, ninth in the series of the kalamulasastra programme, is a compilation of about 550 verses from the Kalika Purana, which give physical description of a number of gods, goddesses, and demi-gods, etc. While some of them are simply conceptual, others are represented in stone and metallic sculptures. 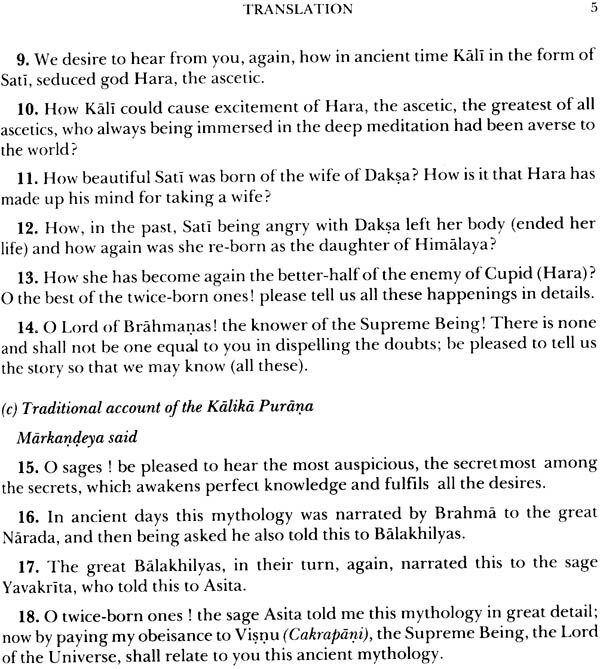 The Kalika Purana is an important upa-purana, which has been quoted as an authority by the smrti digest writers (nibandhakaras) from almost all over India. The Kalika Purana, a work of late ninth or early tenth century A.D. was compiled in ancient Assam (Kamarupa) to glorify and provide ritual procedure of worshipping the mother goddess Kamakhya. The Kalika Purana mainly describes the different manifestations of the goddess, gives their iconographic details, mounts and weapons, and describes icons of some deities that were installed in Kamarupa. All the verses dealing with the deities scattered in different chapters of the kalika Purana are compiled deity-wise to give a complete picture. 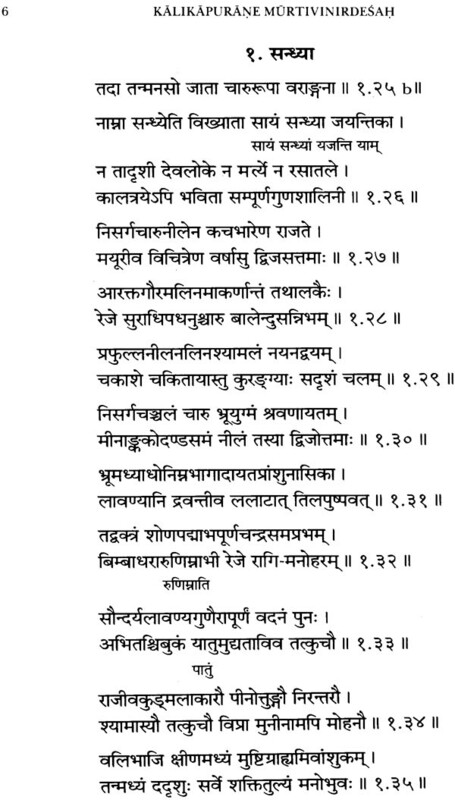 A faithful English translation of the Sanskrit verses is given side by side. Dr. Biswanarayan Shastri, Indologist of International repute, studied Sanskrit language, literature and Indian Philosophy including the Buddhist, in traditional method and obtained the titles of 'Sastri' and 'Tirtha' in different branches of Sanskrit learning. His thesis on 'The concept of Development of Samavaya in Nyaya Vaisesika' earned him the degree of D. Litt. His study in the Ancient Indian History and Culture with Epigraphy and Iconography widens his views to understand the spirit and glory that was India. Thus he combines in himself the traditional trend and the modern of research. He is one of the few person who have been working on Tantra. He edited and published Yoginitantra, Kamakhyatantra and Kalika Purana. His Assamese translations of the Sahityadarpana with notes and of Kathasaritsagara with analysis of motifs and hundreds of research papers have earned him name and fame. Dr. Shastri, both creative and reflective writer, writes in Assamese, English, Sanskrit, and Hindi. His historical novel in Sanskrit, the first of its kind, has been awarded by the sahitya Academy, Bharatiya Bhasha Parishad (Culcutta) and the Utter Pradesh Sanskrit Academi. A President's awardee for his Sanskrit learning, Dr. Shastri is a familiar name with Sanskrit scholars in India and abroad. He is president of Kamarupa Anusandhana Samiti. Dr. Shastri, a freedom fighter and statesman was Member of the Parliament (Lok Sabha) for two terms. 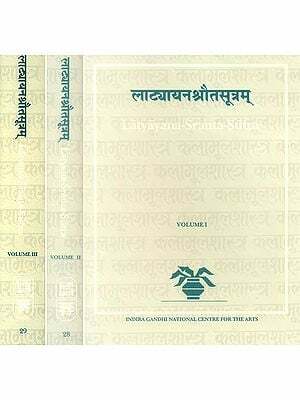 The present volume Kalikapurane Murtivinirdesah is the ninth in the Kalamulasastra Series of fundamental texts basic to the Indian artistic tradition, as also primary texts specific to particular arts. 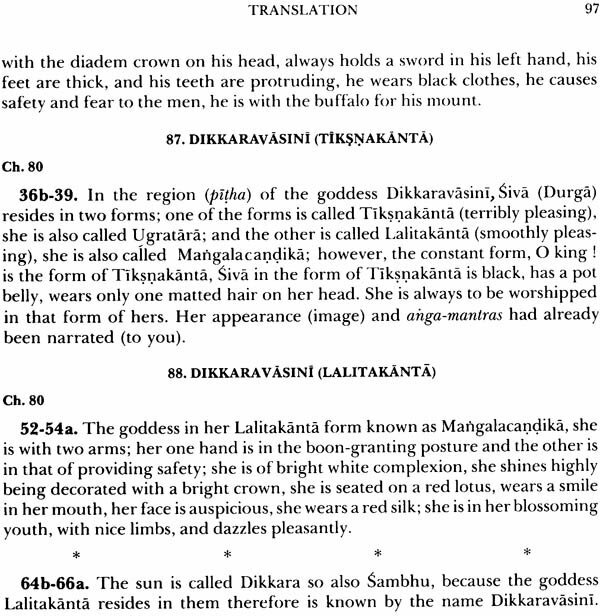 Seminal texts on Sangita, such as, Matralaksanam, Dattilam, Srihastamuktavali and Brhaddesi, have already appeared. Many Vastu and Silpa texts are under preparation. A distinct aspect of the Indian arts relates to the texts which are relevant for the study of any specific art or the theory of the arts. While the Vedas and the Upanisads provide material for re-constructing the world-view and the metaphysical concepts, the Brahmanas provide material for the principles of forms which emerged and which conditioned artistic practice. The texts relating to particular arts, be they Vastu, Silpa, Sangita, Natya, Nrtsa, are works, more in the nature of guidelines on techniques and abstract categories enabling a practising artist to create particular form within a well- defined but not rigid formula. The Agama texts are complementary which enunciate and describe the ritual practice. The Silpa and the Agama texts assume a contemporary significance in the light of the recent art-theories on image, text and context. A third stream is the Puranas, Most of the Puranas contain a Section or Sections which are devoted to the arts. In some, they provide the context. In others, they are akin to the texts ofform and technique, specially, Silpa, Citra, Natya and Nrtya: A free narrative style of the Puranas facilitates an understanding of the Silpa (i.e. measurement, proportion and iconography) and the Agama aspect (i.e. ritual and the worship methodologies) together. Also, since the Puranas are texts which move freely in time and space, social strata, they are able to make connections between different levels of society as also different periods of history. Amongst the principal Puranas relevant for the study of the arts are, naturally, the Agni, the Matsya, the Visnudharmottara and some sections of the Visnu and Siva Puranas. These are included in the future programmes of the Kalamulasastra Series. The Kalika Purana although an upa-purana, ascribed roughly to the period between 10th and 11th centuries is an important landmark for understanding the iconography as also the ritual practices related to Saiva images particularly the Devi in Eastern India. The sculptural style of medieval Eastern India is distinctive and cannot be mistaken for contemporary sculptural styles prevalent in Bengal or Orissa. What is true of the sculptural style is also true of the iconographical details of images from Assam and specially some only recently excavated and housed in the Assam State Museum. For understanding the iconography of these images, the Kalika Purana is an indispensable tool. The detailed descriptions enable one to comprehend the particularities of the iconographical details. The Purana is specially concerned with Kamakhya, Kali (Parvati), Kapali-Bhairavi. The fusion of the legend and the iconographical details will, no doubt, help in further interpretative work on Eastern-Indian sculpture. Equally significant are the sections relating to the methodologies of worship through ritual. Very fine and sensitive details are enumerated as to how to meditate upon and worship the Goddess, specially Kamesvari (Kamakhya). The text assumed great popularity soon after its composition. Many commentaries and digests were written. Manuscripts were collated and critical edition of the total text was also attempted by the Editor of the present volume -Dr. Biswanarayan Shastri. At the request of the Indira Gandhi National Centre for the Arts, he has kindly re-worked on the Sections which relate to iconography and worship. It has been a painstaking task for Dr. Biswanarayan Shastri. Dr. Shastri, in his Introduction, has given a detailed account of the place of the Kalika Purana amongst the Puranas, the upa-puranas and the sthala- puranas and has disagreed with the dating of the Purana by scholars, such as, the late Dr. R. C. Hazra. While the question of a definitive dating is not the principal concern of the editorial policy of the IGNCA, the views of particular editors provide material for an ongoing debate. Thus Dr. Biswanarayan Shastri's view on the total improbability of existence of an earlier Kalika Purana or Kali Purana, is a matter for scholars to discuss further. Our concern is with the importance of the material available in this text for a study of the arts and the information which it provides for a better understanding of the Eastern- Indian traditions of sculpture. We are indebted to Dr. Biswanarayan Shastri for having spared the time to edit the volume. I would also like to record my thanks to the editorial staff of the IGNCA, particularly Dr. C. B. Pandey and Dr. Advaitavadini Kaul for seeing this through the press. Traditionally the Puranas and Itihasa are the explanatory literature of the Vedas and the real meaning of the Vedas is to be interpreted in the light of these two classes of literature. Traditionally the number of the Puranas is eighteen, though the number exceeds eighteen and the list of eighteen differs. The Puranas are encyclopedic in contents and exhaustive in treatment. They are both documents of socio-religious order of the contemporary society and the philosophy of the life of the people of their time and of the future genera- tions. The Puranas used to exercise tremendous influence on Indian minds through the ages all over the country and even abroad; thus they used to serve as a unifying force. The Puranas are always popular with the masses of this subcontinent because they are accessible and intelligible to one and all; they disseminate knowledge to the poeple of all strata of the society through popular myths and legends, which directly appeal to the human heart. Thus the common people are the main audience of the Puranas though elitist society is also equally interested in the Puranas. In course of time the oral Purana myths were recorded and certain aspect was given prominence. The Puranas were composed to glorify one of the triad, i.e. Brahma, Visnu, and Siva besides Surya, Sakti, Canesa and others. Thus the Puranas acquired sectarian character. In the jumble of the myths and legends the Puranas provide information of vital importance- they reveal both the physical and the mental achievement of society-fine arts and cultural attainment by the people. It is precisely not known when the Puranas have been formed into a distinct class of literature and they have acquired certain characteristics in their forma- tion. How these characteristics have developed? When such characteristics came to be regarded as essentials for a Purana? These are the questions discussed by the scholars. We need not delve into them. As the number of the Puranas is restricted to eighteen, the Puranas subsequently composed are termed as upa-puranas; the number of this class of Puranas is also notionally limited to eighteen. In fact the number is much more than eighteen. Though the qualifier upa added to the purana in naming a class of Puranas as upa-puranas implies that this class is inferior to the other one, there are no such criteria to distinguish one class from the other. On the other hand some of the upa-puranas are so rich in their contents and so exhaustive' in treatment that they can easily be placed in the category of the Puranas. In imitation of the upa-puranas certain class of other Purana literature had grown in different regions which are mainly confined to the dealing with local traditions and customs. These are termed as sthalapuranas. Thus there is a marked difference between an upa-purana and a sthalapurana. 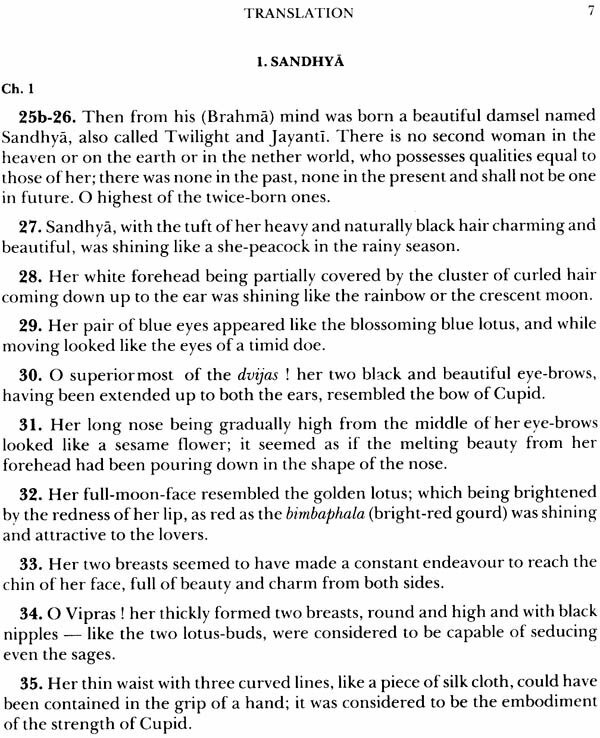 The sthala- puranas are not widely known. They have no national character and lack universal appeal. Indira Gandhi National Centre and Motilal Banarsidass Publishers Pvt. Ltd.
Indira Gandhi National Center for The Arts and Motilal Banarsidass Publishers Pvt. Ltd.